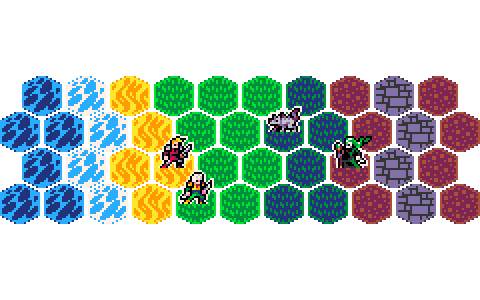 Minimal Hex Tileset is a set of simple, textured tiles that can be a start of your next project or a perfect solution for your current game whether It's strategy, tactics, adventure, roguelike or a simulator. It's available under CC0 license. What Engine can I use this in? Does it work in RGP Maker MV? I can't tell will It work with RPGG Maker MV because I didn't use It. 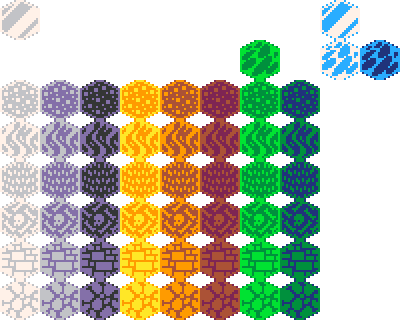 It should work with any game engine that supports hex tiles.